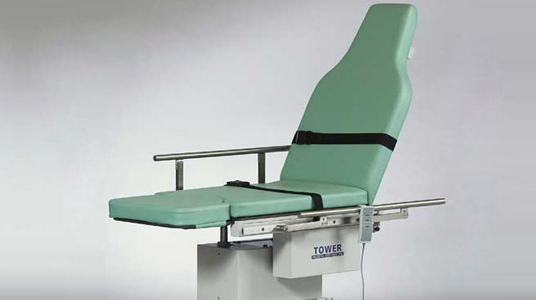 Tower Medical Systems Ltd. (the seller) warrants that all Goods provided by the seller, will be new and will not be used or refurbished. Seller warrants that all Goods delivered shall be free from defects in materials and workmanship and shall conform to all applicable specifications for a period of twelve (12) months (Warranty period) from the date of delivery to Customer under “normal use” in approved applications. This limited warranty does not include damages or defects in the Product resulting from acts of God, casualty or catastrophe, including but not limited to: earthquakes, floods, tornadoes or force majeure. The term “normal use” refers to use in a hospital, clinic or other establishment where the primary service is termed as “Patient examination and/ or care”. This Warranty does not include among other things, the exposure of the product to harmful chemicals, abuse by machinery, equipment, people, improper site location, as well as failure to follow installation and/ or maintenance guidelines. The Seller hereby agrees that it will make spare parts available to Customer for a period of five (5) years from the date of shipment, either original or updated revision, at Sellers current price, less applicable discounts. Additionally, goods purchased shall be subject to all written and oral express warranties made by Seller's agents. All warranties shall be construed as conditions, as well as warranties, and shall not be exclusive. Seller shall adhere to Customer/Seller's standard warranty, and service guarantees that is applicable to the Goods in question. Individual Products contain specific warranties, depending on the products capabilities, such as electronics (ie:, motors, hand/foot controls, etc.). The customer may refer to Warranty Information provided with purchase of product at time of purchase. If Customer identifies a warranty problem with the Goods during the warranty period, a prompt notification to the Seller of such problems is mandatory. Goods will be returned to the Seller, at Seller's expense. Within ten (10) business days of receipt of the returned Goods, [unless there is a depletion of stock, and/or part in question requires a back order], the Seller shall at Customers option, either repair or replace such Goods, or credit Customers account for the appropriate amount. Replacement and repaired Goods shall be warranted for the remainder of the warranty period, or six (6) months whichever is longer. The Customer may refer to the Return Policy Information provided for additional guidelines.